Barnwood Toilet Cabinet with Batton Doors made from 100 plus year old barnwood. 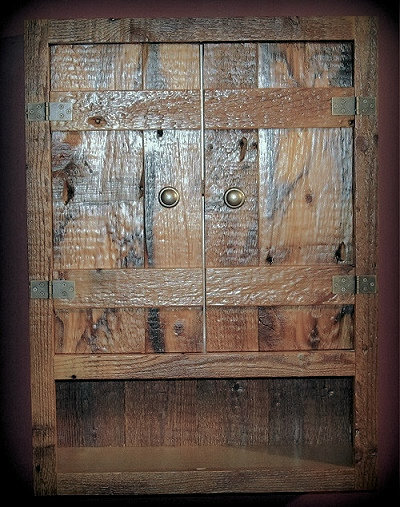 This barnwood toilet cabinet measures 22 w x 30 h x 8 d.
Finished with several coats of clear furniture grade finish. Features three interior shelves for plenty of storage!